The lonely, old buffalo bulls are often referred to as “Dagga boys”. Dagga means mud in Zulu and these old bulls spend a lot of their time wallowing in mud to keep the parasites at bay. They have been kicked out of the herd by younger, more virile males. Cape Buffalo are hunted on foot, which makes this hunt exstremely exciting. You will start out by scouting for fresh tracks or fresh Buffalo dung, that are normally found at waterholes or on gravel roads on the area. You will then use caution to track down the heard or “Dagga boys” and stalk your trophy carefully in order to put you in the right position to harvest your bull. Most of the time you will get withing 20 to 30 yards. Older bulls tend to separate from the herds and are solitary or form small bachelor groups often called Dagga boys. The best shot placement for buffalo is to hit vital organs, hopefully breaking bone somewhere in the process. Any experienced PH should advise to go for the "boiler room". If hit properly, the animal will grunt at impact and take off at a gallop, usually signaling death with a characteristic bellow. Very few shots, regardless of caliber will pull a mature bull to the ground unless the shot hits the spine. If in a herd, the wounded animal usually breaks away and heads to thick cover. DO NOT BE FOOLED - each situation is unique and buffalo are one of the most dangerous animals when wounded. Despite their size they are extremely quick and cunning at camouflage, as they remain absolutely still until one is right upon them. Cape Buffalo are herd animals concentrated on the open Savannah where grazing and water is plentiful. They tend to graze from early evening into the night and then the cooler parts of the day, seeking shaded cover as it gets hotter. Both sexes have horns, with males developing the much desired gnarled bosses as they get older. Their eyesight and hearing is quite poor but their sense of smell is excellent. It is much harder to get close to a herd of buffalo than solitary bulls. Cape Buffalo are thick-skinned animals and the minimum safe caliber is the .375 Magnum. However, with Cape Buffalo you can never have too much gun. Most PH's swears by the .375 Magnum as a starting point, with the .416s & .458s being a good compromise on price and power. Some hunters will load a soft-nosed round for the first shot, followed by solids as the animal moves off. Personally I think that the soft point bullets that are being manufacture today, is all you need. Remember, your goal is to to do as much damage as possible with your first shot and a heavy grained, good quality soft-nosed bullets are essential. A good set of horns starts with a thick heavy wide boss, running outwards and downwards (the deeper the curl the better) well past the ears before curling upwards and back in again. The points then raise upwards and backwards, the higher the better. As a rule, the further past the ears the outer upward curl of the horns is, the better the trophy. In fact, Rowland Ward measurement is based upon the spread of the horns while SCI uses this measurement as supplemental information.The sheer menace and presence of these bad-tempered old bulls make for an excellent hunt and well-deserved trophy. Which country is best suited for your for Cape Buffalo hunt? What can I afford to spend on my buffalo hunt? What experience do I want out of my buffalo hunt? Is it the experience or the quality of trophy that matters most? Will I be hunting other plains or dangerous game while I am on my buffalo hunt? Example: Buffalo / Elephant; Buffalo /Plains game; Buffalo Exotic Species; Buffalo /Leopard; Buffalo / Elephant and Leopard etc. Am I going alone or will there be other joining me on my hunting experience? What expectations do they have? The above questions are not always easy to answer, but at the end of the day, it is a good thing to narrow down the options you have! This area is fantastic for hunting dangerous game and is for some, the greatest experience on earth. The thrill of stalking an animal that is has equal or superior killing power can ignites a serious adrenaline rush. 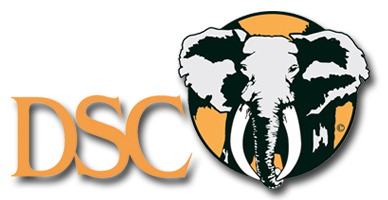 For your best experience and for quality Elephant, averaging 45 pounds tuskers - with largest bull being a 68 pound tusker, and top quality Cape Buffalo averaging a spread of between 40" and 43" with the largest being a 45” spread. We often come accross old hardboss daggaboys which in our eyes is the Utimate Trophy Buffalo. Lion, Hippo, Croc and leopard sitings in the area is also incredible. The area does not have a lot of plainsgame and if you are after plains game, this area is not for you. There are no fences between the Kruger and this consession and animals roam free between the park and the hunting concession. A focussed Buffalo hunt is normally a 10 day hunt and you can expect to pay around $19,500 to $21,500 for your day and trophy fees. Book well in advance - 18 to 24 months to avoid disappointment. The Conservancy in South Eastern Zimbabwe is the largest privately owned reserve in Africa. The concession is renowned for magnificent leopard, cape buffalo and plains game trophies and home to the Big Five. Clients will have exclusive access to 100,000 acres within the unspoilt African Bushveld. The area that has a very healthy and diverse range of species. Plains game species include: Zebra, Kudu, Waterbuck, Sable, Eland, Nyala, Wildebeest, Giraffe, Impala, Bushbuck, Warthog, Bush Pig, Duiker, Klipspringer and Baboon, as well as the nocturnal species.Record quality trophies are taken annually. A 7 day buffalo hunts in this area will cost around $16,500 + Travel fees. Hard Boss Buffalo between 36'' to 40" can be expected. The camp is comfortable - very nice by Zimabawean standards, and has all the facilities that you can expect from Zimbabwe. This is a dangerous game and exotic species area and also great for affordable buffalo. The area boasts itself for Buffalo, Lion, Leopard (major species), Elephant, Roan Antelope (major Species), Lichtenstein’s Hartebeest, Chobe Bushbuck, Kudu, Buffalo, Leopard, Lion, Crocodile and Hippo. Buffalo safaris are 7 hunting days and are guided on a "1x1" basis. The total cost is $13,000 and you can expect 36"-38" hard boss dagga boys. This includes daily rates and trophy fees. Charter flights from Lusaka to hunting area is $2,500. Most hunters add a 2 night 1 day Kafue Lechwe hunt onto the cape buffalo hunt for approximately $4,000. It is also possible to add a 7 day safari to your buffalo hunt that include hunting the Kafue Flats and Bangweulu Swamp area where the following exotic species will be on your quota: Zambezi Sitatunga, Black Lechwe, Tsessebe, Common Reedbuck, Oribi and Kafue Lechwe. - Guided "1x1". Approximate cost =$11,500 p.p. Most of our private ranch hunting concessions in South Africa are located in the Limpopo province, Northwest Province and Eastern Cape. Here Buffalo roam wild on high fenced properties starting in sixe from 6,000 acres to 50,000 acres. The properties are are well managed and buffalo have plenty of space to roam free. If your goal is a Cape Buffalo & plains game combination hunt, 7-10 day hunt, this is for you. Buffalo are hard bossed and various in size from 36" to 40". A 7 day buffalo hunt in this are range from $13,500 to $18,000 depending on size and quality of the trophies. Cape Buffalo bow hunting is also recommended in these areas. As long as buffalo roam wild, and the area is big enough to sustain herds, you will have a great experience! Other Areas: Include THE Caprivi-Strip Namibia, Mozambique and Tanzania.